We are a junior football club based in Northfield, Birmingham in the south west of the city. 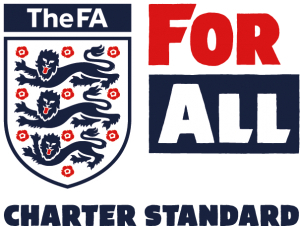 We have teams that play in the Central Warwickshire Youth Football League and the Midland Junior Premier League, we are affiliated with The FA via the Birmingham County FA and we are an FA Charter Standard football club. In association with our academy we aim to provide quality coaching in junior football through our FA qualified coaches, with teams starting from U7s through to U18s. All our coaches, their assistants and our volunteers are CRC checked. Our home ground is: Shenley Lane Community Association & Sports Centre. 472 Shenley Lane, Northfield, Birmingham, B29 4HZ.